At REDco we love a good cup of Rooibos. 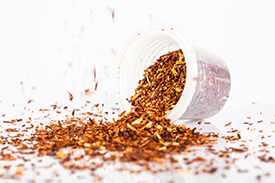 Rooibos has a great taste and it is also healthy with no caffeine, making it a healthy alternative to coffee. This love of Rooibos inspired us to develop the Rooibos Nespresso® compatible capsule. Our team at REDco has sourced the highest quality of Rooibos in South Africa and has been working closely with our supplier to give you the best Rooibos espresso. To assure you are getting the best always look out for the seal of quality. Our Capsules are filled in Cape Town close to the source of Rooibos, assuring a fresh all round quality product. Our factory complies to international food safety standards. Our product range has been developed to supply both the private home and the out of home customers. Whether you need 1 cup or 100 cups of Rooibos a day we have the solution for you. REDco is constantly looking to develop new products. 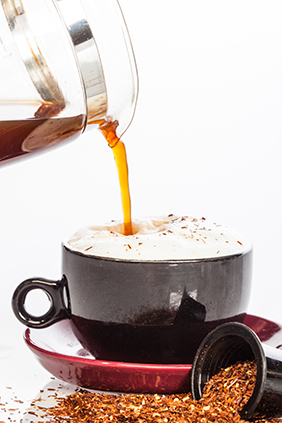 Keep checking our Facebook fan page for the latest products and ideas on how to best enjoy your Rooibos Espresso.